Crater Lake Discovery | Historic Jacksonville, Inc. 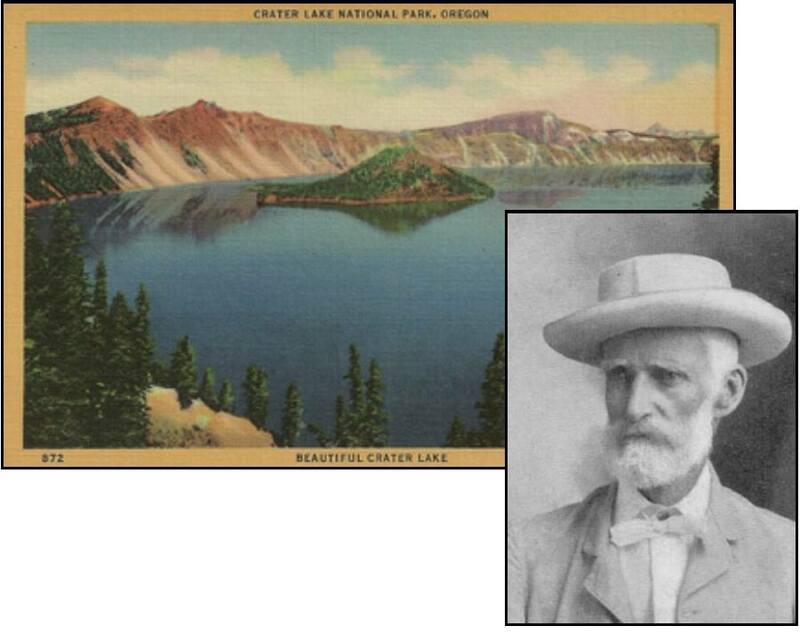 In 1853, Prospector John W. Hillman of Table Rock City (Jacksonville) was reportedly the first American of European descent to see Crater Lake—and he nearly fell into it. While with a party of miners seeking the storied “Lost Cabin Gold Mine,” Hillman was riding a mule along a high ridge when the animal lurched to a stop and would not budge. Hillman looked down and saw that the beast had come right to the rim of a huge crater with a brilliant blue lake at its bottom. “Not until my mule stopped within a few feet of the rim of Crater Lake did I look down,” he later wrote, “and if I had been riding a blind mule I firmly believe I would have ridden over the edge to death and destruction.” But with no luck in their quest and provisions exhausted, Hillman and his fellow miners returned to Table Rock City. Although they debated whether to call their find Deep Blue Lake or Mysterious Lake, a lake was of only passing interest when gold was the objective. Deep Blue Lake was forgotten until it was discovered by another party 9 years later.